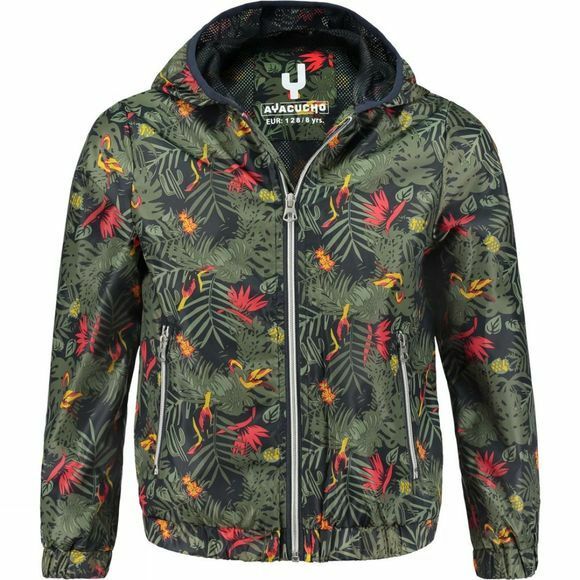 The Ayacucho Leelo18 Jacket Junior is an ideal summer jacket with a tropical print. 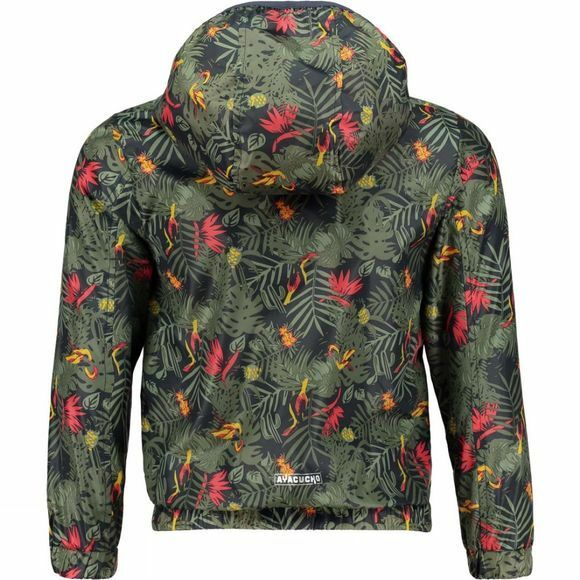 It has a hood that you can easily pull on if a summer shower suddenly comes your way. The two pockets on the front offer storage space for those little essentials and can be zipped shut. There is a reflective Ayacucho logo on the back of the jacket, making sure that you are more visible in the dark. There’s a mesh lining on the inside, and the cuffs are elasticated. Will you be showing off this jacket in the school playground soon?